Time is getting away on me and I haven't finished a book worth recommending this month. I've read a few fluff pieces (nothing at all wrong with that) but we have tons of access to those books. But since I couldn't come up with a review, the search for a new release that needs to land on my shelf was on! Bring it back to ol' faithful and we come up with an author I love from previous work: Stephenie Meyer. 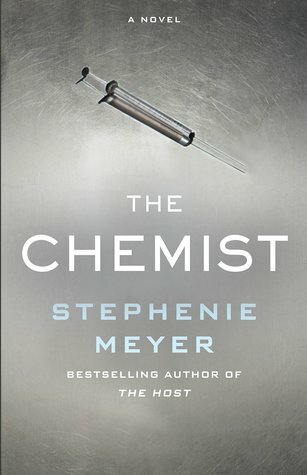 Apparently she has a new title coming out November 8 (lots of good things happening on that date) called The Chemist. I'm looking forward to it because of how much I enjoyed The Host. But the "reviews" on Goodreads are kind of funny too . . . since they are just people commenting on a book they haven't read yet. If nothing else, you can read those and have a chuckle.